When Nicks moved into “Dreams,” it was pure magic. 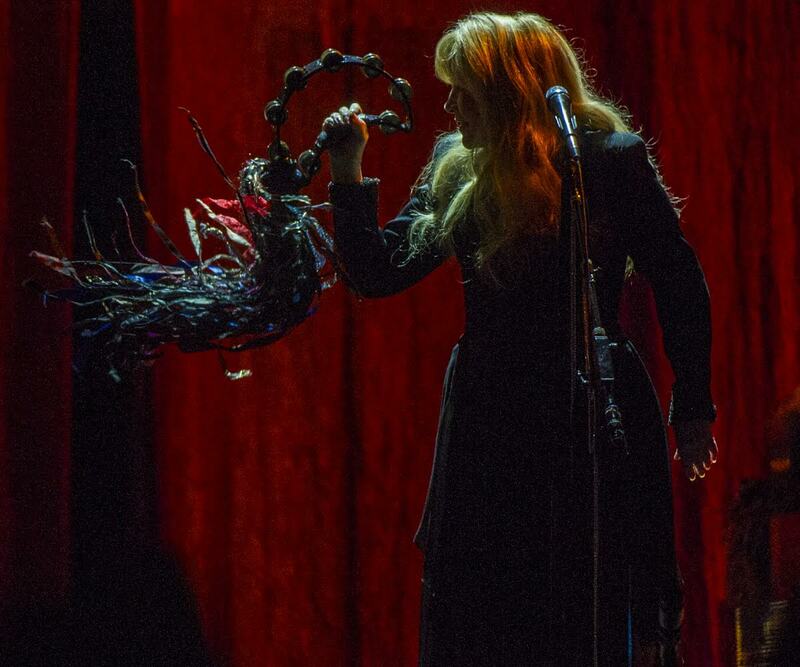 Although there were no famous Stevie Nicks twirls on stage during the song (only one the entire night), when she grasped the microphone and sang “When the rain washes you clean, you’ll know” it reminded fans that no matter what mistakes we make tonight, tomorrow is a brand new day. Nicks moved through her set quickly, only breaking a couple times to tell stories. She thanked the crowd and shared her tie to Colorado with family from Cripple Creek, and that she has an insane Aunt Gertrude (who we now want to meet.) She continued on to “Wild Heart” and “Starshine” — both of which share a raw pain that fans can dance to. While Nicks has always specialized painful ballads, the hard pang of guitar and steady, solid beat of drums made it impossible to wallow for too long, giving fans that crucial space to explore pain. She strategically saved the best of her magic for the end of the night. Proclaiming that there were spirits in the Pepsi Center, she donned a golden scarf on her shoulders and performed “Gold Dust Woman” and “Edge of Seventeen.” And with a brief break she came back onto stage in all black and went into her encore. She closed the night with “Leather and Lace” from Bella Donna; the original duet was performed with Don Henley, but Nicks again, carried it just fine without him. Far after the lights went up and daydreams were twirling through the chilly Denver streets, Nicks’ fans were left with the feeling they were stronger than they know if they just open up to it. It’s okay to not know what’s next, just be the best you while you figure it out.